The first weekend of November starts a string on races here in the South Central area. Though I’ve enjoyed traveling around the country for racing against the nation’s best, it’s nice to have a few days at home and see some familiar faces on the Texas cyclocross circuit. 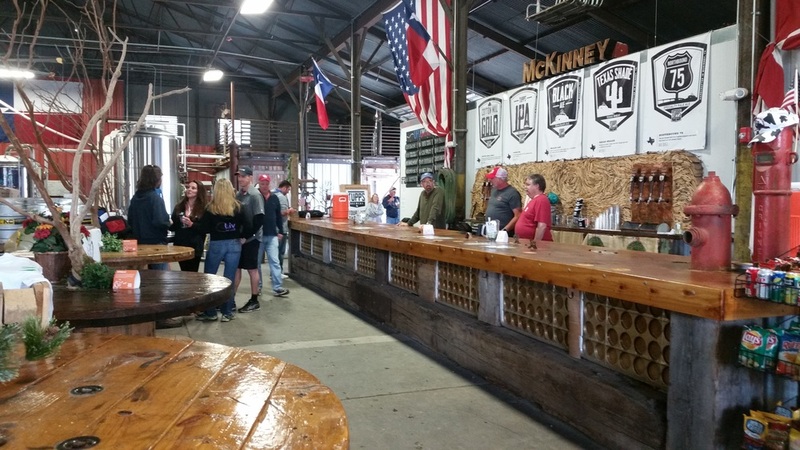 A part of the nascent North Texas Cyclocross Series, Cranking Gears & Drinking Beers was another first year event just up the road in McKinney, Texas. Beers. Bikes. What more could you ask for?! Next year maybe we'll have a car gap? Racers awoke on Saturday to dreary skies that made it seem more like New England fall than the normal Dallas weather. After a solid morning at home, I made the short drive up the road to Tupps Brewery, located just east of downtown McKinney. I hadn’t been to the venue before but the atmosphere at the brewery was fantastic! I’ll be the first to say that it doesn’t look like much from the outside, but you know what they say about appearances. With plenty of good beer on tap, games and live music, the atmosphere was great for racers and spectators alike. Fortunately for me, the skies began to clear and the course dry out after the morning drizzle. The course itself was 70% in the open field adjacent to the brewery and the other 30% over some technical features. Say what you will about the course itself (e.g. “It’s a road course” “A grass crit”), the most was made of the features available. Personally, I would like more technical sections in the courses around Texas, but the reality is that we don’t always have the geographical features that are available in other parts of the country. All that aside, the berms and whoop section, along with some tricky turns through the old buildings spiced up the course. As the whistle sounded, I had a good jump off the line but there was lots of looking around down the start straight to see who would go to the front first. Rob Sandusky took charge and led the group through the first turns in the field. Not wanting to have a group ride, I decided to put in an early effort and get the racing going. This strung the field out and the racing was now ON. Entering the brewery for the first pass, there were lots of cheers and jeers from the crowd as we railed the berms and whooped it up. This section would prove to be a critical part of the course in establishing a gap. At the front of the race, I tried to make it hard for Rob to catch up by going hard on the straights and punching it any time that I could. Of course, he was equal to the task and it was a Matrix/RBM 1-2 at the head of the race. Rob and I traded pulls at the front and I was doing my best to not get gapped in the technical sections. With 3 or 4 laps to go, I took a right-hand sweeper a bit too wide and tangled with one of the course stakes. It didn’t end well for me and I ended up hitting the deck. Gathering my bike, and myself I got back on the horse and started chasing. It wasn’t more than a lap later, that I had closed the gap to Rob to just a handful of seconds. And as luck would have it, my rear tire rolled off the rim. I was able to put it back on, but the threat of rolling it again meant I had to tiptoe through the turns until I hit the pit. Bike changed I started chasing again. I tried as best as I could over the last 2 laps to catch Rob but I didn’t quite have enough real estate to have any real shot. At least there was some cold consolation beer waiting for me after the finish! It was a great race overall and, mechanicals aside, I wasn’t too bummed to be 2nd place. 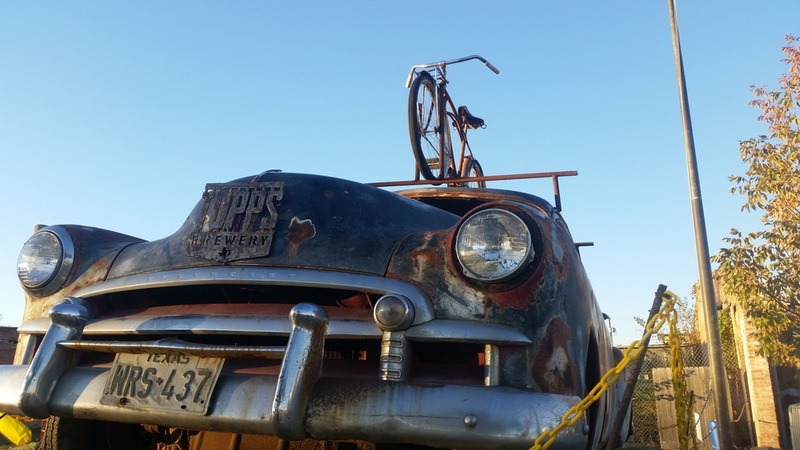 It was bluebird skies over North Texas for day two of Cranking Gears & Drinking Beers. Inspired by Sven Nys after watching the Superprestige race in Ruudervorde over breakfast, I was determined to have a better go of it on day two. Not much had changed on the course, except for the direction. The dry conditions meant all the ruts that were built up on Saturday were hard packed on Sunday. No better day to practice committing to the rut! On the line North Texas’ favorite promoter Jeff Lucido and Logan DeBorde offered up a $50 first lap prime to the first rider that made it to the brewery on the first full lap. Motivated to claim the prize, our first lap of racing was fast and tightly contested. I sat a few wheels back on the prologue lap and was able to claim the prize on the first full lap, battling with Rob through the final berm into the brewery. The price of winning: bashing my rear wheel on the lip of the concrete entering the building (foreshadowing). Now at the front, I tried to make the race hard for everyone again. I was able to open up a small gap through some flat turns but Derrick Saunders (Smooth Operator) was up to the challenge. Over the next several laps, he and I would build a gap over the rest of the field and I tried every move in the book to try and shake him. No dice. Driving through a turn on the backside of the course, my rear tire rolled again. Two days in a row! Two different wheelsets! Whether the tire was losing pressure and rolled or it was just bad luck, I won’t know. But the mechanical error meant Derrick was able to go ahead while I limped to the pits. The bike exchange was frantic yet smooth. Bob Sandusky and Ian Moore somehow grabbed my spare bike in the blink of an eye and were able to make the change look like it was planned. Thanks guys for your quick and speedy response! On the B bike, I started chasing again (theme of the weekend perhaps?) and it took me the better part of two laps to finally catch up to Derrick. With just a few laps remaining I tried again to open up a gap. Unfortunately for me, it wasn’t going to happen easily and it wasn’t until the last bit of the last lap that I pried enough daylight to come in first. It was another day of great racing and Derrick made it a hard yet fun race! The win was the first weekend win of the year and my first in a season or two. Hopefully the trend will continue for the remainder of the season! Thank you to Cadence Cyclery, Tupps Brewery, the Texas Cross Syndicate and all the fans, sponsors and volunteers who made the race possible! And a special shout out to my family, friends and coworkers who made it out to cheer! Your support is always appreciated!